Have you ever wanted to just take off on an adventure? That is exactly what Alissa Wells, a 30-something single gal from Clayton, North Carolina does. After winning an abandoned storage shed in an auction Alissa finds a box of ashes inside. She decides it’s time to take some of those vacation days and she is going to drive to New Mexico to deliver Roger Hart’s ashes to their rightful resting place. Al, as she prefers to be called, has never left her hometown or her home for that matter. When her mom died young, Al took over caring for her dad and her sister. When it was time to find a job, she naturally went to work for her dad at the local newspaper and she has been there ever since. This road trip is just the diversion that Al needs in her life. The paper can manage without her for awhile and she is in no hurry to return. Al loads up her dog, Casserole and they are off on what will be a life-changing adventure for Al. During one of her restaurant stops, Al’s waitress Blossom decides to hitch a ride with her as far as Texas. Blossom, a 17-year-old former hippie, has decided to go back and live with her dad in Texas and Al’s road trip is the perfect opportunity to get there. Then, few stops later, Blossom’s ex-boyfriend is also tagging along for a ride to Texas. These three characters who would have never crossed paths are now lifelines to each other as their lives intersect. Al’s journey, both figuratively and literally, gets her to stop and assess her life. Since the story is told in the first person, the reader feels like they are riding right along with Al across the country. Stops in Nashville, Memphis, and Oklahoma City give the reader glimpses into the attractions and why Al and her entourage have decided to stop and visit. The characters are quirky, naive, and lovable. When each of them come to a crossroads and has to make a decision, the reader is cheering them on, hoping that the decision is the right one. Lynne Branard, who also writes as Lynne Hinton, has a talent for writing about friendships, unforgettable characters, and heart-warming stories. Much like her previous novel, THE ART OF ARRANGING FLOWERS, readers will enjoy the quick chapters and real-life situations full of funny mishaps and surprises along the way. Her witty metaphors and priceless wisdom fill the pages and will make the reader pause and reflect. 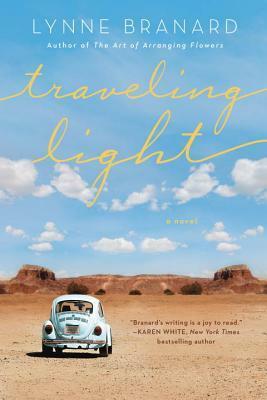 Branard dedicated this novel to her many hospice patients she met as a chaplain. The title, TRAVELING LIGHT reminds all of us to let go of our burdens and to learn when to linger in life and when to move on. Maybe reading this book will inspire you to start your own life-changing adventure. I previously read, THE ART OF ARRANGING FLOWERS. You can see my review, HERE. Lynne Branard, also writes as Lynne Hinton. She was born and raised in North Carolina. She is an ordained minister in the United Church of Christ and has served as a hospice chaplain and as a senior pastor. Lynne is the author of nineteen books and has received numerous awards for her writing. Lynne and her husband live in Guilford County, North Carolina where Lynne serves as Co-Pastor of Mount Hope UCC. 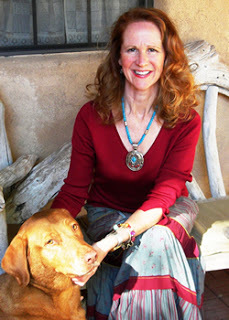 For more on Lynne, check out her website, HERE. Thanks to the publisher for sending an ecopy of this novel for the purpose of this review. This review is my honest opinion. If you choose to purchase this book through the above link, I may receive a small commission without you having to pay a cent more for your purchase. Thanks for supporting SincerelyStacie.com.